This week I have something a little different: a guest blog post from two amazing picture book authors, Jim Averbeck and Dashka Slater. Jim and Dashka interviewed each other for this post and offered up two lists that pertain to their brand new books: 5 Fun Things about Fire and Top 5 Dangerous Plants. Take it away Jim and Dashka! 1) Little Dragon has such a vivid personality, and you communicate it in very few words Did the character come to you fully formed? What was the first thing you knew about him? His name came first. When I was traveling in China, my guide in Beijing told me his name was Frankie. It’s common for guides there to use a pseudonym from the country of their client, to make it easier for the client to pronounce. I asked “Frankie” what his real name was and he told me “Xioa Long” which means “Little Dragon.” Apparently, in Imperial China of the past he could have been killed for his name, as the name “Dragon” was reserved for the nobility. The first thing I knew about Little Dragon’s personality was that he would love fire. I mean, if you could breathe fire wouldn’t you be just a little bit proud of that? The character grew from there. I knew he would probably not have total control, so he’d need to live in a fireproof house. If you look at the pictures Little Dragon draws at the begoinning of the story, you’ll see that the lawn and tree at his castle are burned and even the paper he draws on is singed. 2) One of the things we all encounter as picture book authors is that we have multiple audiences – parents, children, teachers, librarians, even critics. Who are you writing for, when you’re working on a picture book? What reader do you have in mind? I really write all my stories primarily for myself. I want to be delighted with my characters and what happens to them and the words I use to tell the story. Who I write for aside from myself depends on what the story is. Of course I want the kids to like it most of all, but if it is a story I think would do well in the school market, for example, I may add an author note with some teachable facts. Or if I think it is more of a story to be shared between parent and child, I may emphasize the relationship between the parent and child in the story. But mostly I just write a story that makes me happy. 1. Certain metals will change a fire’s color if put into the flame. If you put a small bit of copper pipe in a bonfire, for example, the flame will turn green. Chemists sometimes so something called a flame test, to determine what the item their testing is made of. 2. A campfire is a great thing because you can roast marshmallows on it. 3. Classical Greek philosophers considered fire one of four basic elements which made everything in the world. The other three were earth, air and water. 4. Chimneys were invented in the 12th century in Northern Europe. Houses were really smokey before then. 5. Let’s face it – fire is HOT! 1) Princess Amanita is a risk taker living in a dangerous world. If she lived in our world, who would she grow up to be? Funny you should ask, since I’ve been collecting stories about real world women and girls I consider “dangerous princesses” — women like Diana Naiad, the amazing open water swimmer who braves sharks and jellyfish and freezing cold water, and girls like ten year old Mia Hansen, who started a petition drive that persuaded Jamba Juice to stop using styrofoam cups. Princess Amanita loves danger, but she also loves nature, so maybe she’d be a skydiver who fights climate change, or a tree-sitter who specializes in very tall trees, or a naturalist who studies crocodiles or carnivorous plants. 2) Some writers begin with the character, others begin with the plot. Which kind of writer are you and why? I almost always begin with the plot. My ideas start out with a what-if question. What if a tiny sea serpent dropped out of the faucet? What if someone planted nose seeds instead of rose seeds? What if firefighters had magical powers? The character comes from the follow-up question: Who planted the seeds? What kind of sea serpent? What are the firefighters like? Commonly known as “Death Cap” this is the mushroom responsible for more mushroom poisonings than any other, mostly because it looks similar to some common edible mushrooms. 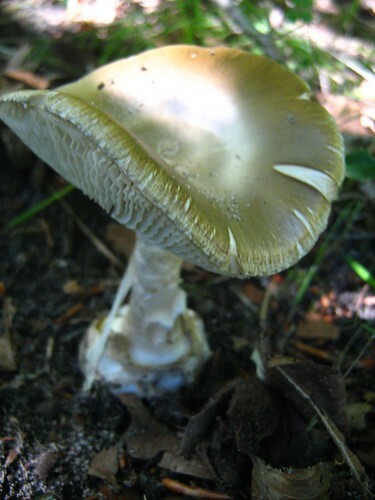 It’s said to be the mushroom responsible for the poisoning of the Roman Emperor Claudius. 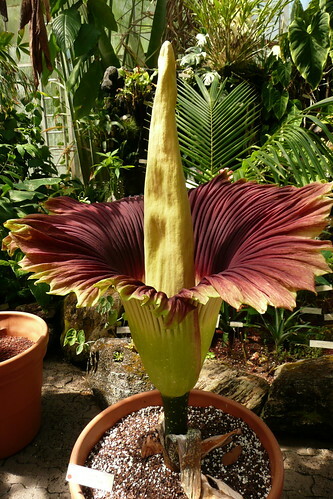 It’s very big — about 8 feet tall — and it smells like rotting meat. Like a lot of rotting meat. Not only does it cause a horribly itchy rash, it has the diabolical trait of making you more sensitive to it the more you’re exposed to it. 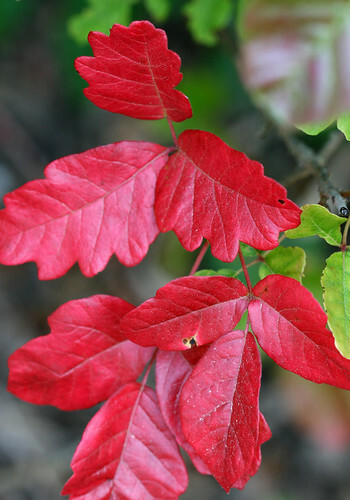 So every time you get poison oak rash, you can feel comforted knowing that the next one you get will be even worse. It sure is pretty though — some Native Americans used to use it as a basket dye, and one early and uninformed explorer even brought it back to Europe for people to plant in their gardens. The rest of us know better: Leaves of three, let ‘em be. 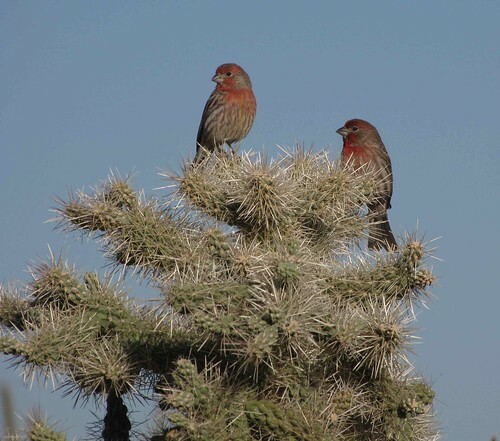 Said to be the world’s spiniest cactus, the jumping cholla sticks to anything that brushes it– which is why people say it “jumps.” If just one of the many spines snags your skin or clothing, a whole pod of prickles will jump off the cactus plant and onto you. Ouch! This plant is only dangerous if you’re a fly or other insect, and occasionally if you’re a mouse or frog. The surface of its leaves have sensitive little hairs. When a bug touches the hairs, it springs the trap and the two sides of the leaf spring together like a clamshell. The outer edges of the leaf then interlace together like fingers to keep the insect from escaping. 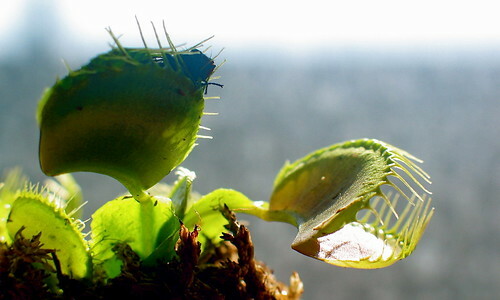 Once the trap is closed, the Flytrap begins to digest its meal, which takes five to twelve days. When nothing is left of the bug but its hard shell, the trap opens again…and waits. Dashka Slater’s first book, BABY SHOES, was named a best book of the year by Booklist and Nick Jr. magazines. Her book THE SEA SERPENT AND ME was a Junior Library Guild Selection and a finalist for the Cybil and Chickadee Awards. An award-winning journalist, she is the author of four books for children and two for adults. This entry posted in blogging, reading, Writing Blog. Entry Tags: dangerous plants, dangerously ever after, dashka slater, fire, guest post, jim averbeck, oh no little dragon, photos, picture book, valeria docampo Bookmark the permalink.